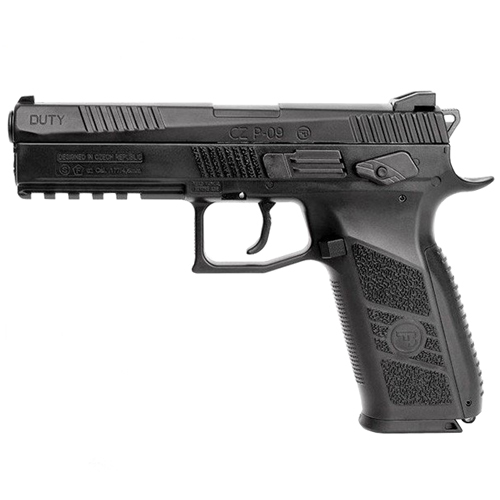 The CZ P-09 is a full-size tactical pistol with an integrated rail for mounting light and/or laser. 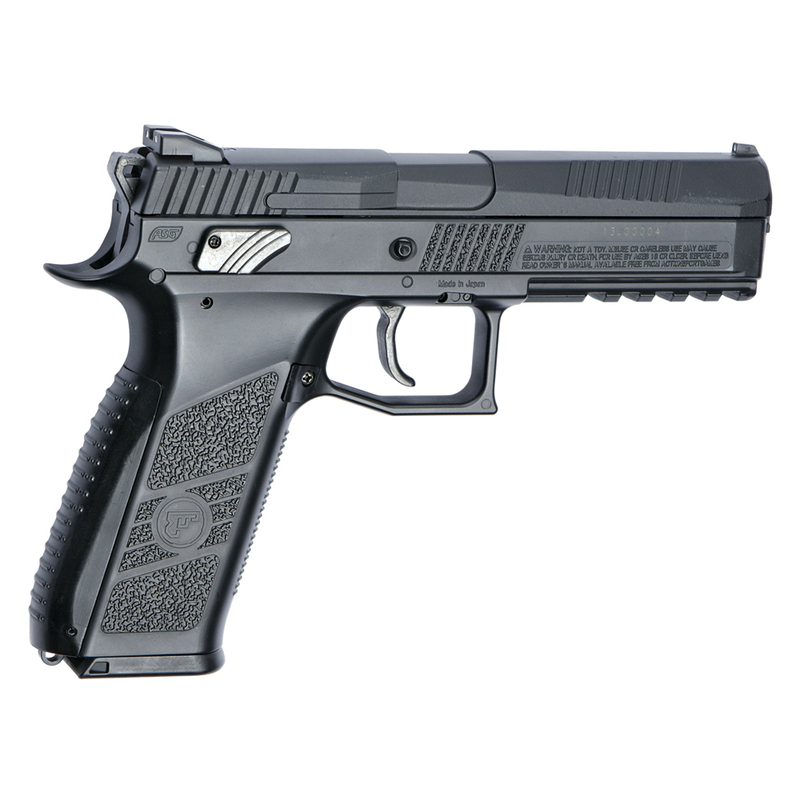 Manufactured under license from CZ this airgun is designed from the original specs resulting in a realistic look and handling. 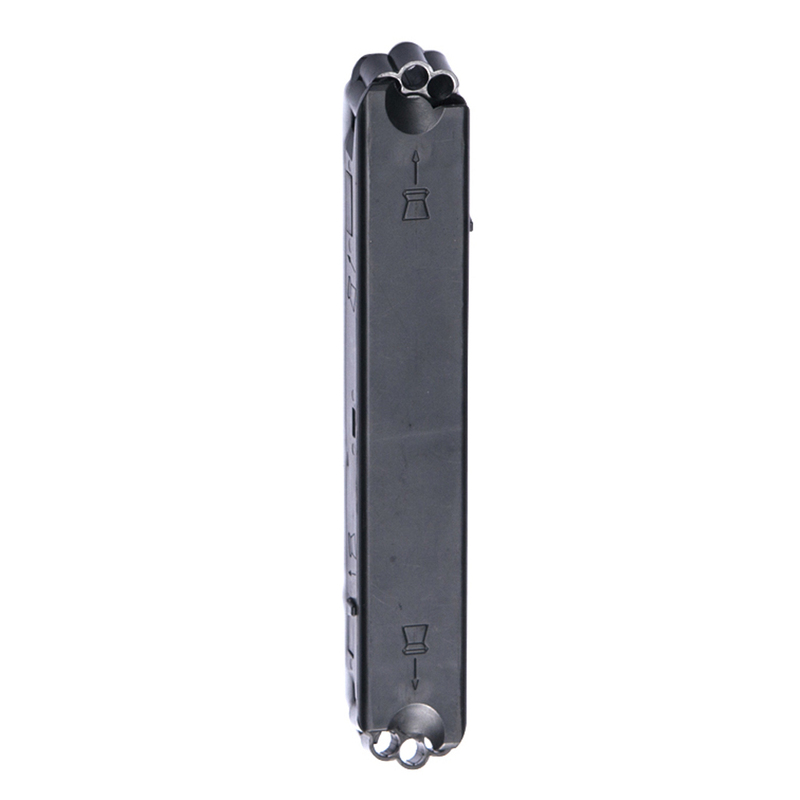 Its blowback function makes the metal slide move with every shot fired, creating strong recoil, adding to the shooting experience. The CZ P-09 features a rifled inner barrel allowing the use of pellets, this improves range and precision. Add to this a 3-dot sight system that gives the operator a quick and easy target acquisition. 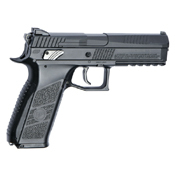 Every pistol comes with its own unique serial number and authentic CZ markings. A barrel extension tube can easily be threaded on by removing the front caps. The CZ P-09 is one of a new generation of airguns capable of firing flat-head pellets from an ingenious stick magazine with a 2x8 capacity.